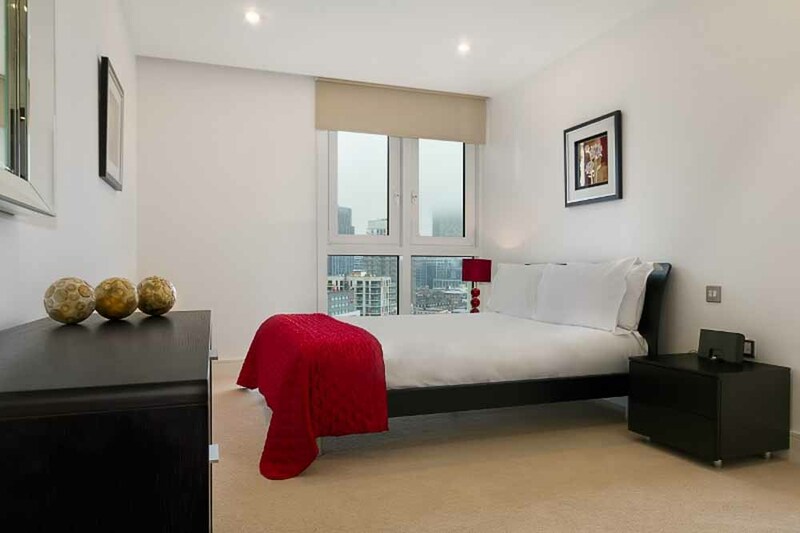 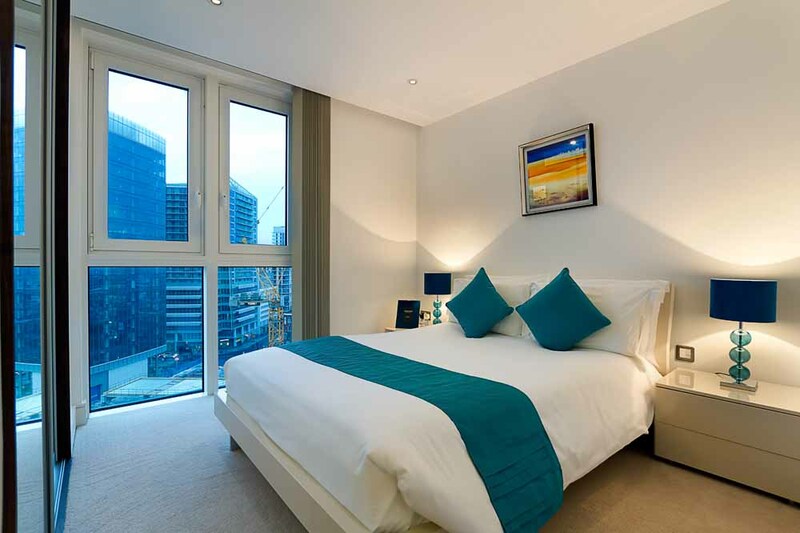 Altitude Apartments are located in the vibrant and up-and-coming area of Aldgate..
Altitude Apartments are located in the vibrant and up-and-coming area of Aldgate in East London. 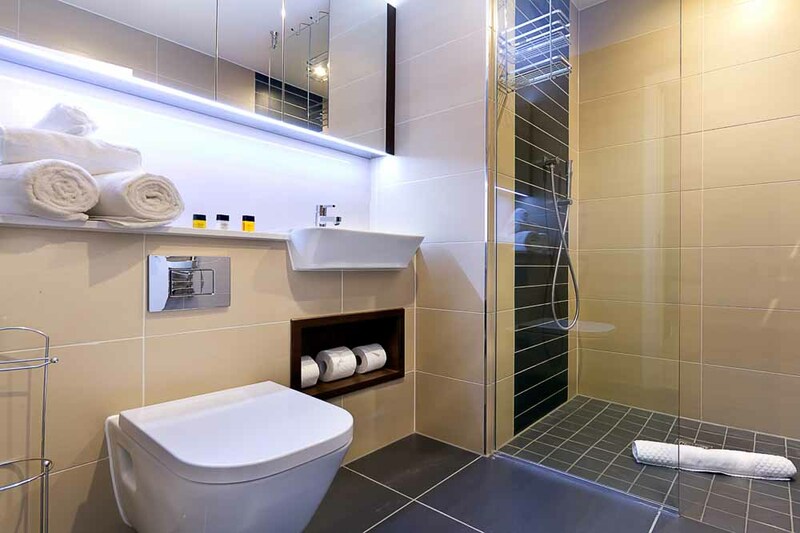 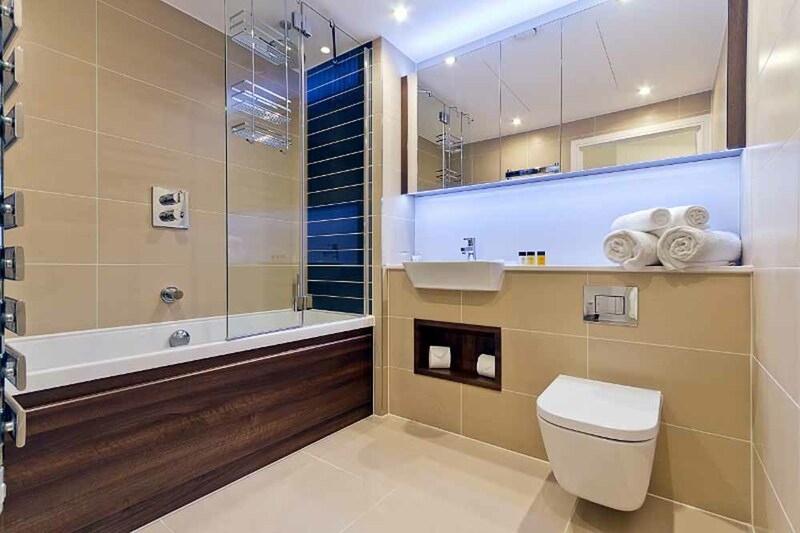 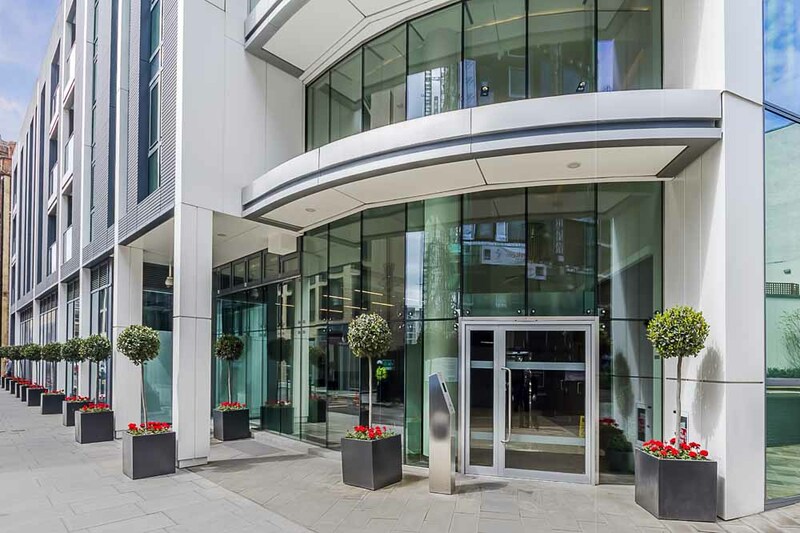 Ideally located for sightseeing, they are just a short walk from iconic London landmarks, such as Tower Bridge, the Thames, the Design Museum and the Tate Britain. 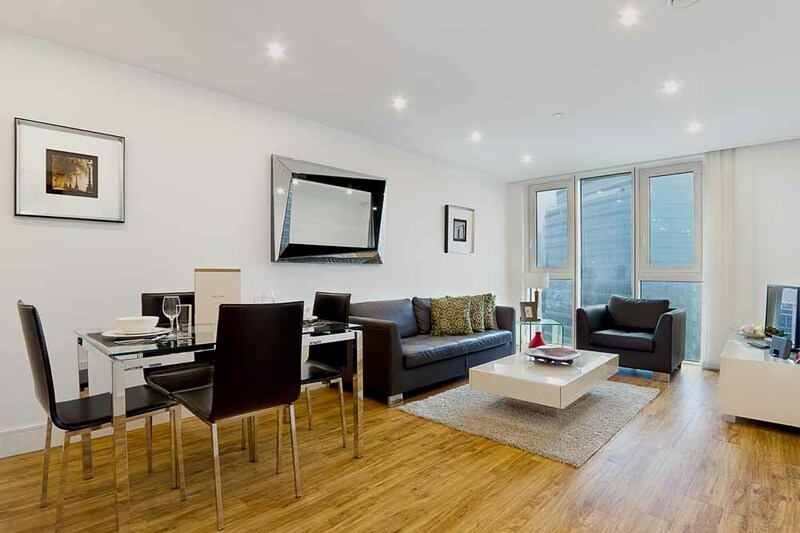 The more eccentric boutiques and market stalls of Old Spitafields Market and Brick Lane are also within easy reach. 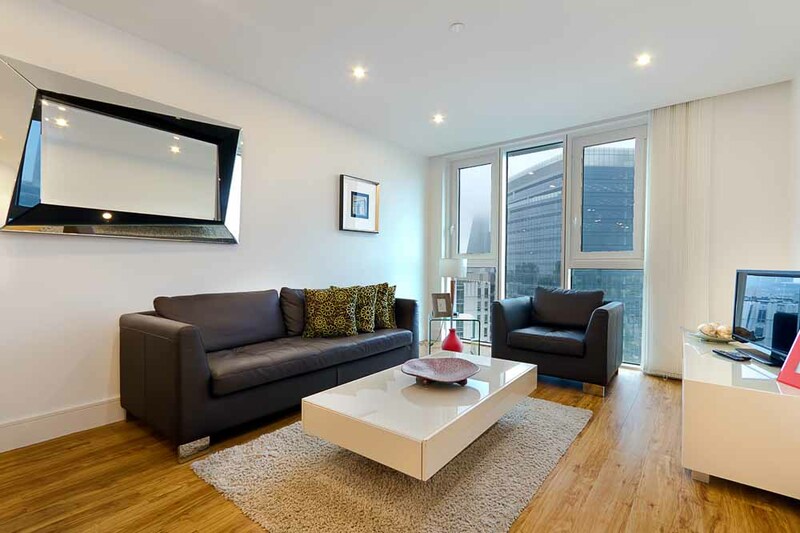 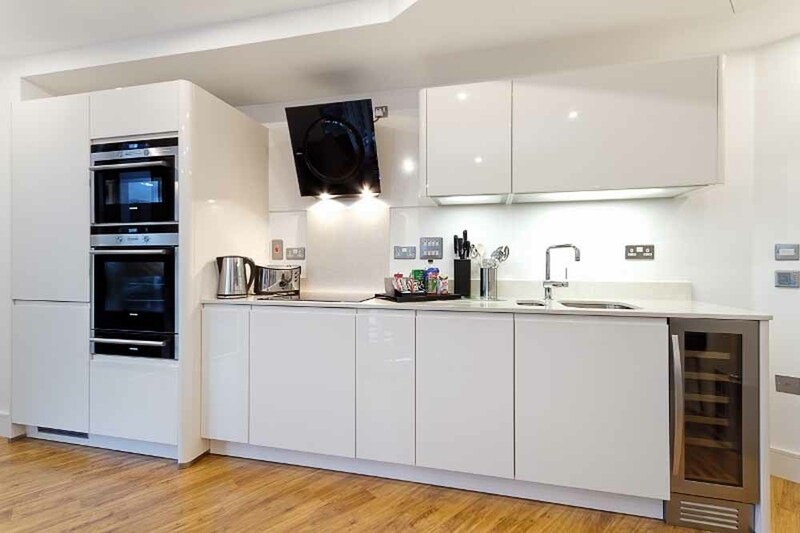 Just a few minutes' walk to Aldgate, Aldgate East and Liverpool Street stations, the apartments offer quick connections to the rest of London. 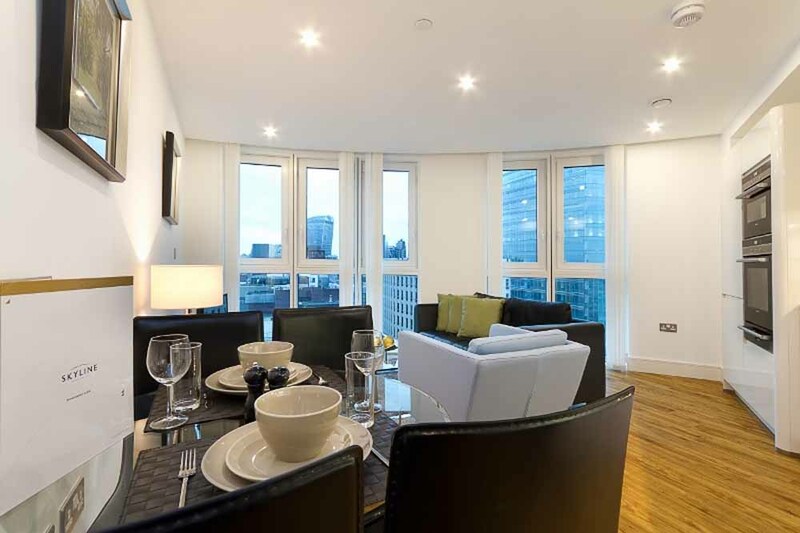 Tower Gateway station is also nearby providing great links to Canary Wharf and The Docklands on the DLR. 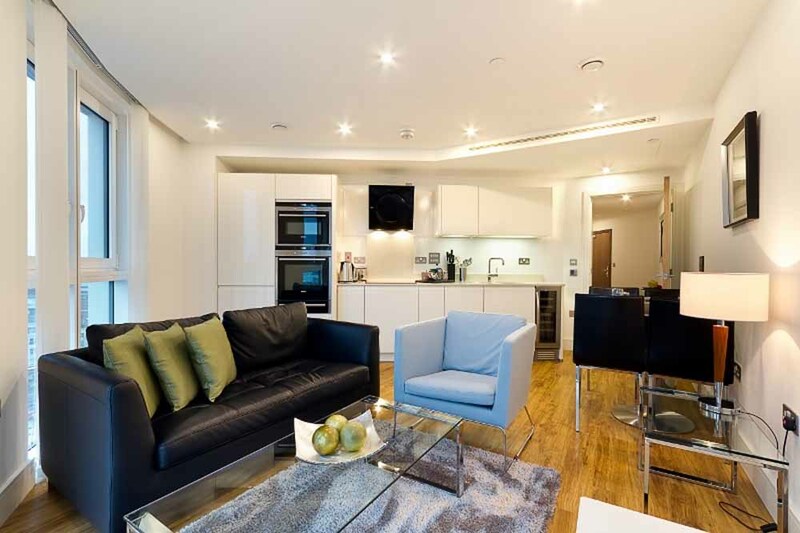 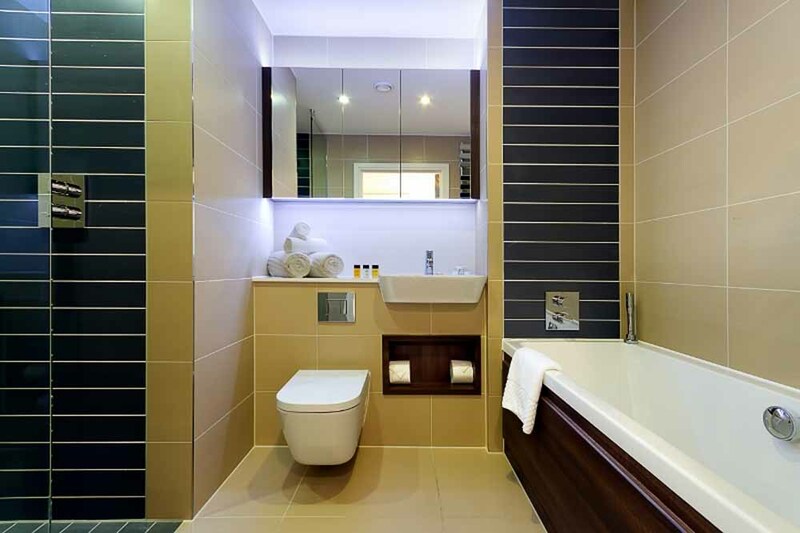 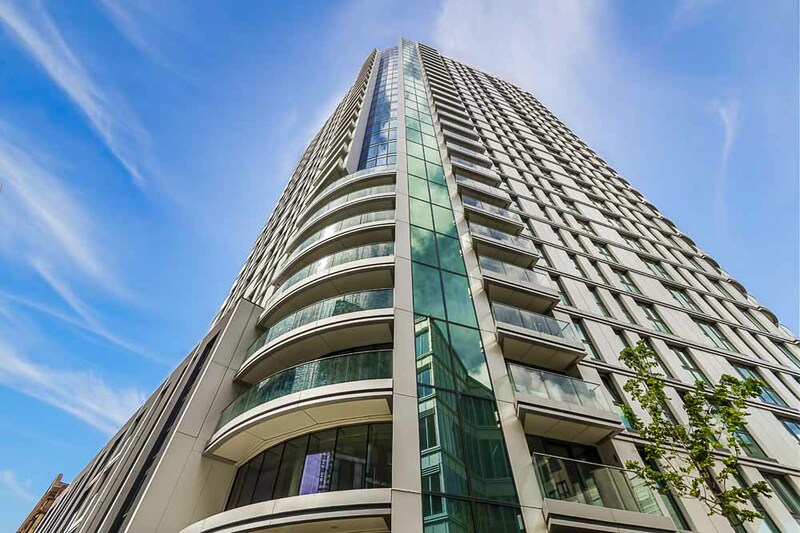 Altitude Apartments are a mix of stylish apartments housed within a modern 27-storey development in Zone 1. 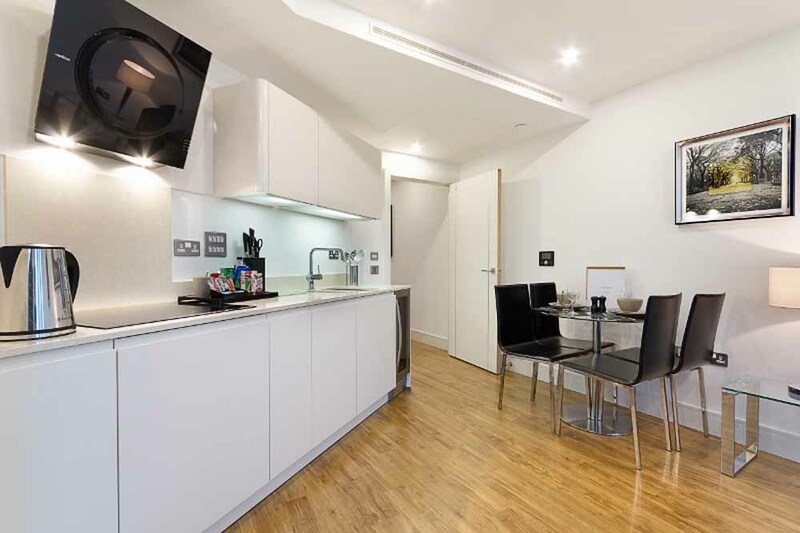 Wooden floors, neutral colours and sleek design give the apartments a fresh and contemporary feel entirely fitting for their fast-paced and fashionable location. 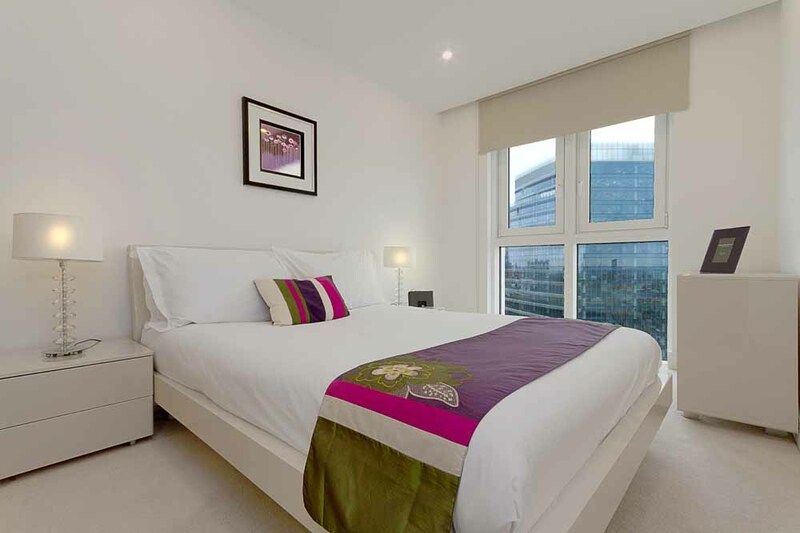 These apartments have comfort cooling and are ideal for short stays in Aldgate, you can enjoy spacious rooms and state-of-the-art appliances. 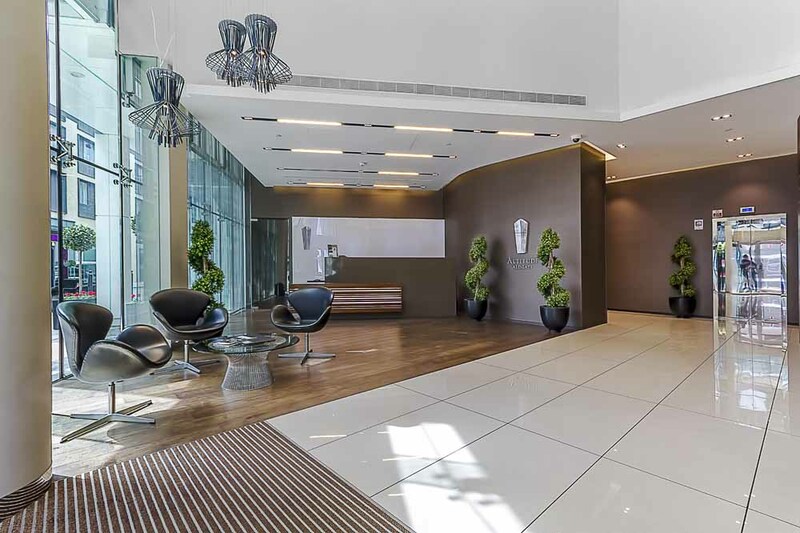 Climb up to the communal roof terrace on the 25th floor to be rewarded with stunning views of London's cityscape. 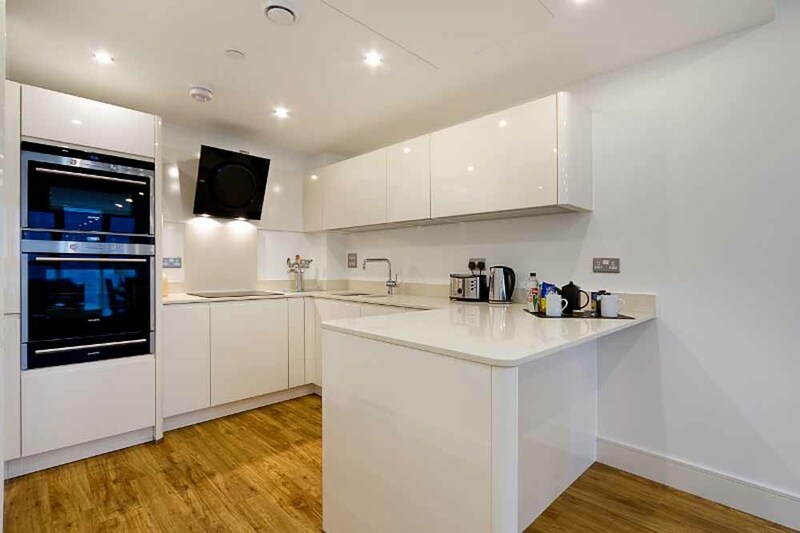 Sleeps two and has a separate bedroom with a double bed, one bathroom, a fully equipped kitchen and a spacious living and dining area.